Union bosses claim that city bus services are under threat after a flurry of resignations following a row over pay earlier this year. 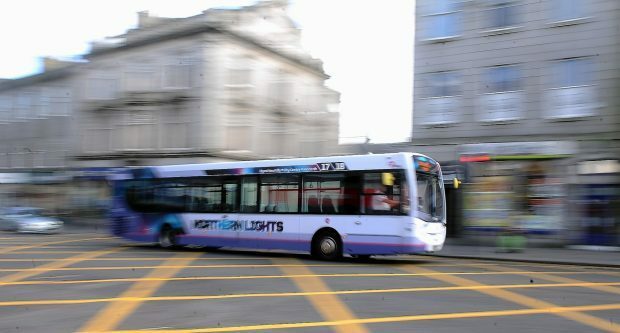 An 11th hour deal prevented First Aberdeen drivers walking out in April following an angry dispute over what staff claimed were “draconian” changes to their terms and conditions. But since an agreement was reached between the firm and Unite, the union claims a number of drivers decided to quit, leaving the company under pressure to staff its routes. A well-placed source claimed that eight services had to be cancelled on Wednesday due to staffing issues and it is also understood that very few drivers have been working overtime hours adding further strain on services. Another passenger, who wished to remain anonymous, also claimed he was on a 23 service to Heathryfold on Tuesday which terminated at the city centre because there was no relief driver available. Willie Wallace, regional officer for Unite, said: “Since we had the changes to the terms and conditions there’s a reluctance for people to commit to overtime. “And since then there has also been a considerable number of drivers that have quit which is putting pressure on services. First drivers first went on strike at the end of March and beginning of April, claiming their revised contracts would leave them £5,000 out of pocket with fewer holidays and longer shifts. The industrial action, which was due to last 12 weeks, officially started on March 16 with drivers refusing to carry out overtime shifts. Over the course of the dispute there were 10 days of strike action. On the eve of another walk-out, a revised deal was put on the table by First and 60% of members balloted voted in favour of accepting the latest offer from their employers. David Phillips, Operations Director for First Aberdeen said: “First Aberdeen are aware of the issue regarding our driver numbers within the depot at the current moment, but we are working hard to resolve the issues and I can assure the public we do not anticipate any effect on our services in the interim. “Drivers are a key component for our business and we are always looking to recruit and attract new people to fill these vital frontline customer facing roles. We have a healthy pipeline of new recruits coming in to the business.